Snake without limits, a fun Snake game in which your snake has to eat all black and purple rounds. It will grow longer and longer. Watch out that the snake doesn’t become entangled with itself! You can play two versions: one with, and one without boundaries. 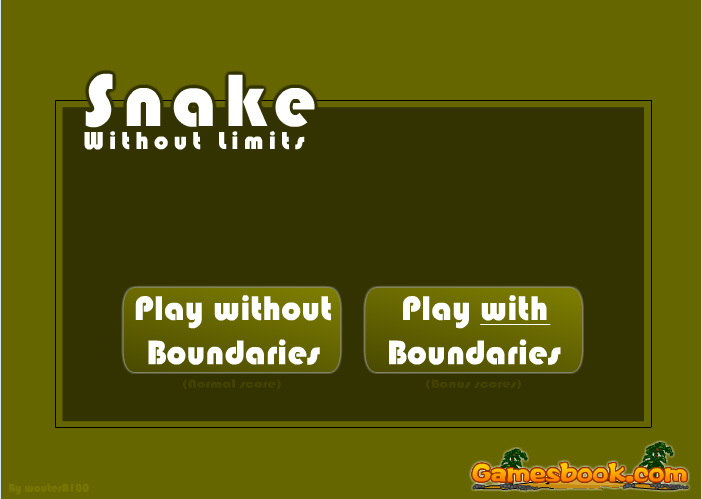 In the version with boundaries, the snake will die when it crosses the border of the grid. In the version without boundaries, it simply continues at the other side of the grid. Have fun playing these two online versions of Snake!